Chinese characters can sometimes be confusing. In this post, we take a look at four similar looking characters and examine some ways to remember and distinguish them. I chose these two characters with four meanings because they’re relatively common and I myself have been having problems remembering how to write them down due to the similarity of the forms and two of them having multiple readings. They also happen to be on the HSK vocabulary lists from level 3 onwards. Let’s look at each of them in context to make it easier to remember, then devise some memory aids to easily distinguish them from each other. More fun with 更 (gèng)! Tā méiyǒu fàngmàn sùdù, fǎn’ér bǎ chē kāi de gèng kuài le. He didn’t slow down. On the contrary, he drove faster. Wǒmen bìxū zhēngmù gèng duō shìbīng. We must enlist more men. Here’s the same character but with another meaning. The timetable is subject to alteration. Ironically, the tone for this meaning (gēng) doesn’t change since it’s just a high tone. There you go, two pronunciations and meanings for the character 更. Up next is a character that looks quite similar, but with a twist. Yǒu le tā zhēn shì fāngbiàn. When is the most convenient time for you? Same character as convenient. Well, cheaper is indeed more convenient for people. Tā de nà shuāng xié kàn shàngqu hěn piányi. Xiànzài de qín ròu xiāngdāng piányi. Poultry is rather cheap now. 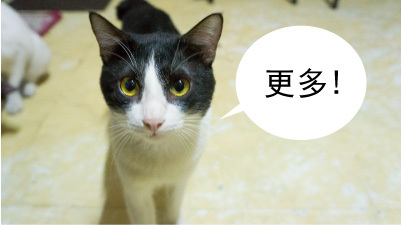 In the next part, I’ll tackle 使 (shǐ) – make or cause to happen, and 史 (also shǐ) – history.